​The future looks bright for Fitts, Roberts, Kolkhorst. The stability of our shareholder group has resulted in a loyal clientele. Newer technologies help us serve our clients effectively and more efficiently. Each year our practice continues to grow and reach into new industries. We also add new services in response to our clients’ demands and the changing business environment. Our current Senior Managers are the Shareholders of tomorrow. Knowing them, we know the future is in good hands. See you there! Today, life is good...and will be even better. 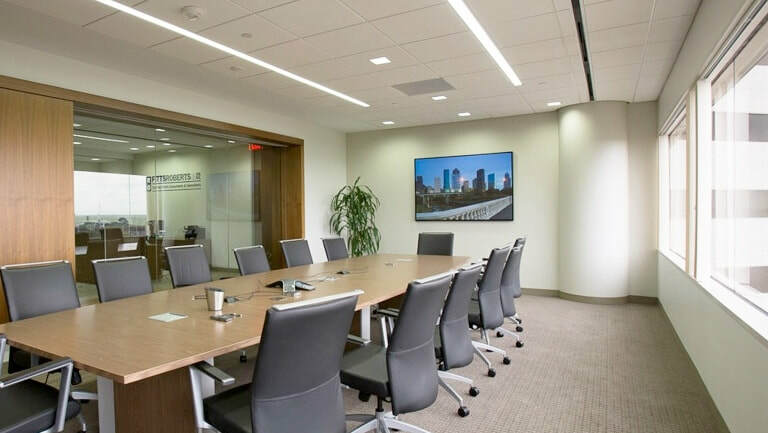 A diverse yet harmonious group of talented staff and shareholders use today’s technology, tools and strategic alliances to reach far beyond Houston. Our history begins with Tom Roberts and the late Bob Fitts. Both were veterans of large, national CPA firms, but ventured out on their own in 1964. Their focus then, as ours is now, was to attract clients of good moral and ethical fiber, who are respected members of the business community and will value our professional services. They were also business consultants who helped grow the firm's anchor client – a group of several auto parts stores – into 130+ stores by the time the chain was sold in the 1980's.